Koya-san is home to the Shingon Buddhism sect in Japan, which built its main temple in the 9th century on top of Mt. Koya. Since then a sheltered temple complex and town has grown around it. Today Koya-san is best known for Shukubo or temple stay, where visitors take part in the daily life of a monk, eating the Shojin Ryori (vegetarian monk’s cuisine made of mostly local vegetables), attend the morning prayers and see part of the temple otherwise not accessible to visitors. There are over a 100 temples offering Shokubo service and arrangements can differ depending on the temple and price paid. A temple stay is highly recommended at Koya-san, prices start around ¥ 10.000yen per night / per person but a ¥ 30.000yen price tag is to be expected for the more high-end stays. Keep in mind that this is for full pension. Some temples even have their own private onsen and Zen garden. A night at Koya-san is the perfect way to escape the busy metropolitan life and find some inner peace. There are also guest houses at Koya-san that offer accommodation for as low as ¥2.500yen/night. Even if you do not include a temple stay, Koya-san has plenty to offer for a day visit from Kyoto or Osaka. For a start, many of the temples are open during the day for visitors, the most famous of which is Okunoin, the mausoleum of Kobo Daishi, the founder of Shingon Buddhism and among the most revered persons in Japanese Zen buddhism. The traditional entrance to Okunoin is marked by the Ichinohashi Bridge. It is customary to bow here as a token of respect before entering the temple complex. 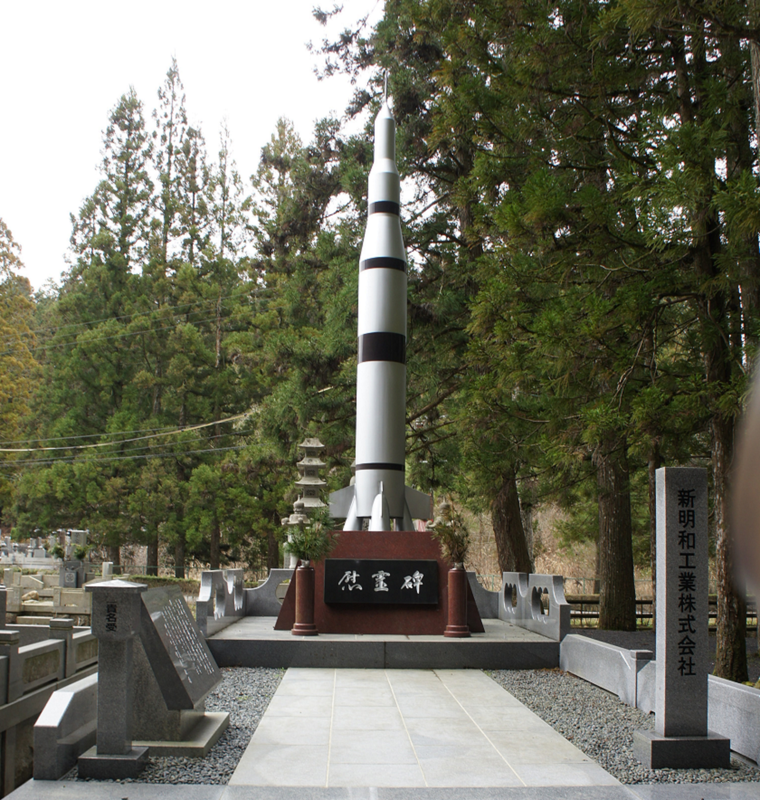 From here starts the cemetery with over 200,000 marked graves, it is the largest in Japan. Many wishing for salvation in death have had their remains placed here to be close to Kobo Daishi. Throughout the centuries many influential monks, rulers and the rich have chosen this to be their final resting place. A tradition that continues today for those well-off or well connected. The end result is a very unique atmosphere. The other essential visit is Kongobu-ji, the principal temple of Shingon Buddhism. Visitors can enter the temple for a fee and attend sermons and sessions performed by the monks. For those interested it is also possible to attend meditation sessions. After visiting the complex, hang around town. There are many smaller temples and attractions to explore, such as the Tokugawa family mausoleum. Even the ancient pharaohs did not have a grave with a rocket on top! 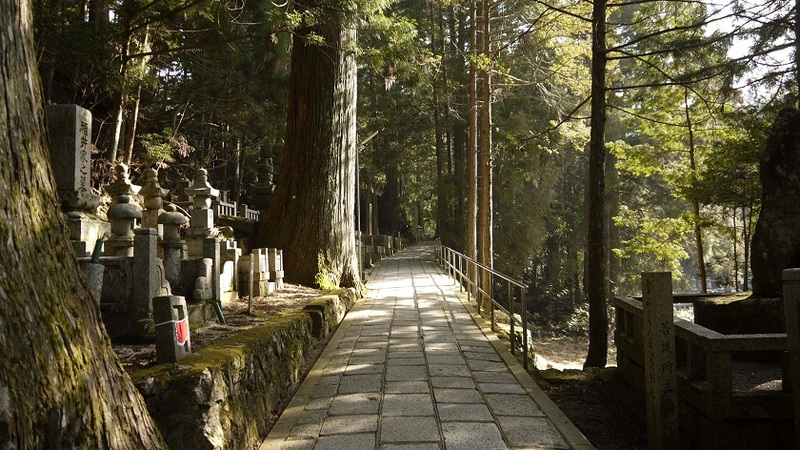 Koya-san, is the start and finish of the the Shikoku 88 Temple Pilgrimage and is also connected on the Kumano Kodo Pilgrimage Trails. Doing the whole pilgrimage on foot can take as much as 3 months but visitors can walk part of the trail, or get on some of the side trails for some amazing hiking. For those with a little more time, there are beautiful walks around Mt. Koya. A popular hike is to take the ropeway up the mountain and slowly make descend throug the day. For those a little bit more adventurous, it is possible to also hike up to Koya using the Koyasan Choishi Michi trail, this is the traditional way going up to Koya, though most visitors now use the cable car. The trail is clearly marked by stone signposts every couple hundred of meters. For detailed information on trails see the Shukobo official website. Walking guides are available for hire. The route to Koyasan is not fully covered by the JR Pass as the last part of the route is traveled on the Nankai Express railway a private railway company. That said, there are still good savings to be made with the JR Pass. Koya-san is best accessible from Shin-Osaka. You can use the JR Pass to travel to Shin-Osaka by Shinkansen bullet trains from nearly anywhere in Japan, such as Tokyo, Kyoto and Hiroshima. Take the Midosuji Osaka Subway from Shin-Osaka to Namba station (¥280), then transfer to the Nankai Namba station (about 5-10min walk). There, board the Nankai Express to Gokurakubashi station (¥1650), it is also possible to take a local Nankai service to Gokurakubashi (¥870), taking 20 minutes more. From Gokuraku-bashi, you can use the Cable car up Mt. Koya (¥390). This route takes about 2 hours, including transfer time or 2 hours and 20 minutes when using local Nankai trains. Using the JR Pass you can save some of the fare to Koya-san by using JR trains to Hashimoto station (in Wakayama) and use a local Nankai train from there to Koya-san. This will bring the fare down to only ¥440 for the Nankai train. The travel time is about 220 minutes to reach Koya-san this way (including travel time for the ropeway). For the most comfort, use the Ltd. Exp Kuroshio train from Shin-Osaka to Wakayama and then the local JR Wakayama line to Hashimoto. Once you reach to top of Koya-san, buses will take you from the cable car station into the town. As there are no walking paths between the cable car and the town, it is mandatory to use the bus. One-way fares cost ¥300-400, there’s also a day ticket available for 830 yen that includes discounts to various attractions. Keep an eye on temple opening times and time-tables. Most attractions are open between 9:00 – 17:00, and after 19:00 service on both the cable-car and Nankai trains back to Osaka is greatly reduced. A schedule can be found here. It goes without saying but please be respectful at all times, Koya-san is a sacred place. Since most visitors will have left after 18:00 Koya-san becomes a lot more quiet and the mood completely changes. If you stay the night, be sure to walk the graveyard up to Okunoin after dark, it’s a surreal experience. If you’re into photography, wake up early to explore Koya-san, nobody will be around and you’ll be able to make some amazing shots.